Foxconn has partnered with an university in China to provide a summer internship for the university students to earn some work experiences (assembling iPhones and iPads?). But the stupidest thing is this internship program is a compulsory curriculum. Students would NOT be permitted to graduate if they don’t participate the work experience. On the other hand, the vice president of Xi’an Technological University said, the internship is the practical experience is part of their curriculum, the goal of arranging such internship for the students is to allow them to understand what they really want to be, since many students usually felt pressure by their parents into choosing a particular degree course or institution. 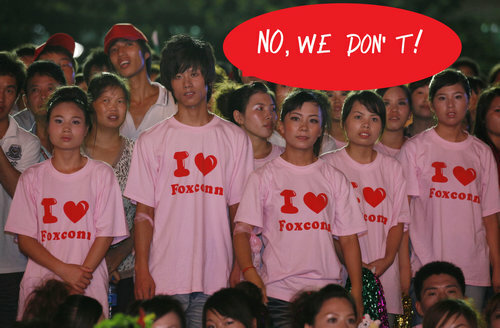 Reportedly, students who enrolled in 2010 must attend to the work experience in Foxconn. Moreover, students studying in courses unrelated to technology such as arts and social sciences, were also told to take part. The two-months work experience is equal to six credits. The school also said students with disabilites can apply for credit exemption. 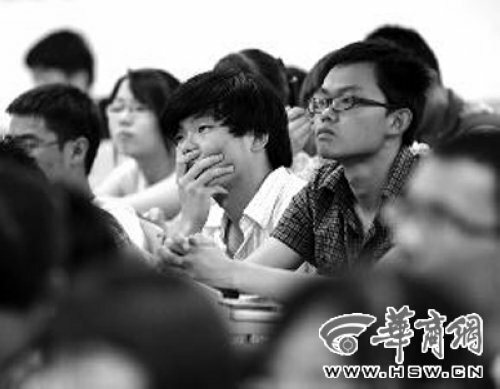 Each student will be given a monthly salary of 1,550 yuan (US$243). However, they actually receive only about 705 yuan (US$118) per month after deducting expenses for travel, daily necessities, food and accommodation. According to some students, if they have other fees like phone bills to pay off, then all their wages that earned from the internship will be nothing. Students who completed the internship said they just learned simple and routine tasks such as trimming edges from a mobile phone, some tasks that even junior high school student could handle. The school claimed they do not receive any benefits from Foxconn, and Foxconn is the only partner that they have found so far with safe working environment and sufficient vacancies. The school may also provide internships with other companies in the future. It is unreasonable to force students to take part by threatening to withhold their degree. 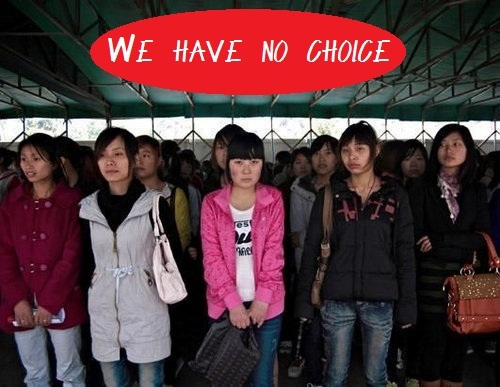 If the content of the internship does not match the course, students could become cheap labors.